Pets are incredibly curious creatures who are not above snacking on anything that interests them. When that snack is a plant, problems can occur. Many plants are poisonous if eaten and can cause symptoms ranging from mild discomfort to death. Below is a list of some of the most common plants that sicken pets. 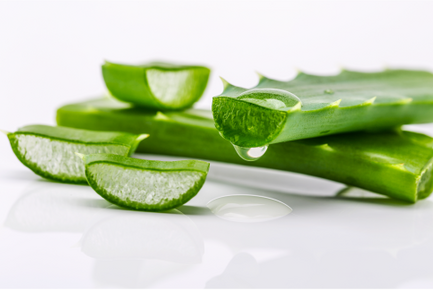 The leaves of the aloe vera plant offer quick relief for burns, but eating these plants can cause vomiting, diarrhea, decreased appetite, changes in urine color and tremors in both dogs and cats. These flowering plants provide a splash of color during the holiday season, but they can be poisonous to pets. Keep bulbs out of the reach of your cats and dogs, as these are the most toxic part of the plant. Sampling an amaryllis plant can cause drooling, loss of appetite, vomiting, diarrhea, abdominal pain, tremors and depression. Eating azalea or rhododendron plants can cause symptoms that range from mild to life threatening. The severity of the symptoms vary depending on how much of the plant your cat or dog eats, but it only takes a small amount to make an animal sick. Symptoms include vomiting, diarrhea, drooling, loss of appetite, abnormal heart rate, weakness, abdominal pain, tremors, blindness, seizures and comas. Found often in floral arrangements, these white flowers can cause vomiting, diarrhea, loss of appetite, lethargy and depression if they are ingested. Cheerful yellow buttercups certainly do not look very threatening, but they can cause drooling, vomiting, diarrhea, weakness, tremors or seizures if eaten. Buttercup flowers are very bitter and cause mouth ulcers. In most cases, pets decide that buttercups are not so tasty after all, after a few bites. The bulbs are also the most toxic part of daffodils. If your pet eats a daffodil, it may experience drooling, vomiting and diarrhea. Eating several daffodils can cause low blood pressure, heart arrhythmias, tremors and convulsions. Eating one of these classic holiday plants can cause a range of symptoms. Although poinsettias have a bad reputation, eating them really only causes mild irritation to the mouth or stomach. Mistletoe is more dangerous. Eating it can result in gastrointestinal disorders, heart problems, hallucinations, vomiting and diarrhea. Consuming holly can also cause vomiting and diarrhea, but your pet may be most annoyed by the tiny cuts caused by the spiny leaves. You may notice some very unusual behavior if your pet eats morning glories. Symptoms include hallucinations, stomach upset, tremors, loss of appetite and difficulty controlling movements or balance. Mountain laurel plants produce attractive flowers in the spring, but eating these plants can be deadly. If your pet consumes mountain laurel, it may begin to drool and experience vomiting, diarrhea, heart rhythm abnormalities, tremors, coma and even death. If your pet cannot resist eating the leaves and stems of a tomato plant, you may notice drooling, loss of appetite, diarrhea, drowsiness, confusion, weakness, slow heart rate, dilated pupils or changes in behavior. Munching on a tulip bulb can cause stomach problems, loss of appetite, drooling, convulsions and cardiac problems. If you are concerned that your pet has eaten a dangerous plant, call us immediately. The sooner treatment begins, the more likely that the outcome will be positive. If you have other concerns about your pet's health, schedule an appointment today. If your pet has eaten a dangerous plant outside of normal office hours, contact your nearest animal hospital immediately.